In recent years, theoreticians, researchers, and practitioners have become increasingly interested in older adults and the aging process. This volume draws on related disciplines to better understand the biological, psychological, and social aspects of aging. 'Social Work with the Aged and Their Families' covers areas of central interest to those coping with the needs of an aging population. Among the topics addressed are assessment of the aging, taking into account biological age, psychological age, and socio-cultural and spiritual age. Greene also considers the importance of the family system, family roles and development, functional-age individual and family intervention, and group and community interventions. The scientific and systematic study of aging is known as gerontology. Geriatric social workers are those who have applied established social work theories in an attempt to find suitable techniques for working with their elderly clients. The need for specialized services has given birth to various services and programs. For example, meals-on-wheels and home health care services have been designed to meet specific physical needs of older adults. However, mental health services have lagged far behind as practitioners struggled to adapt such specialties as family therapy to families of later years. A major contribution of this book, now in its third edition, is the functional-age model of intergenerational treatment (FAM), which is an outgrowth of that demand. The functional-age model of intergenerational treatment is an integrative theoretical framework for social workers interested in clinical social work practice with older adults and their families. Since its initial construction in 1986, the model has been augmented by more recent concepts related to successful aging, spirituality, and resiliency. 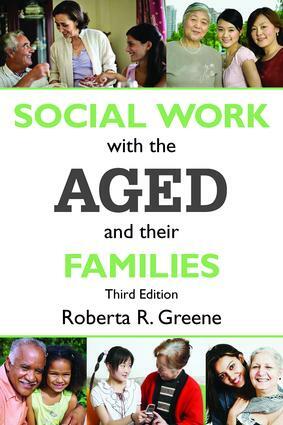 These additions, together with the original assessment and intervention strategies, present the major converging conceptual trends that constitute a model for twenty-first century social work practice in the field of aging.